Cook till fragrant, then toss in the mixed vegetables and spinach. 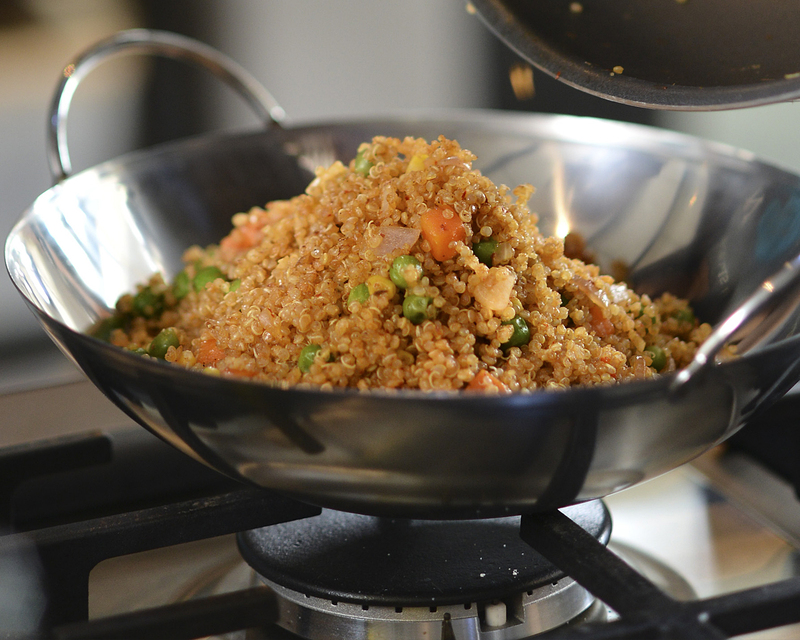 Heat through and add in quinoa and WORLDFOODS Indonesian Fried Rice 'Nasi Goreng' Paste. Cook 2-3 mins stirring frequently till well coated. Serve and enjoy.